Irish playwright, critic and political activist George Bernard Shaw once said: “Progress is impossible without change, and those who cannot change their minds cannot change anything”. Retail and Shopping Centres need to evolve in order to keep up with the change. Changes in technology, consumer behaviour and trends have effects-both positively and negatively. This year also marks drastic changes in tax regulations and fuel levies which will further affect consumer spend, shopping patterns and this may create new trends. At the upcoming Annual South African Council of Shopping Centres (SACSC) Research Conference, the aim is to be ahead of such changes, keeping delegates informed and prepared. Coordinated and hosted by the SACSC, the Annual Research Conference is an event focusing on the evolution, research and the education that is necessary in order to satisfy consumers while nurturing the retail and shopping centre industry in South Africa. 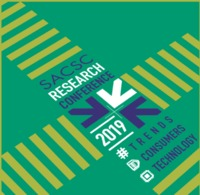 Now in its eighth year, the SACSC Research Conference has become synonymous for enlightening those in attendance about current and upcoming trends, consumer needs and satisfaction as well as technology. The conference takes place on 9 May 2018 at the Maslow Hotel in Sandton. Chief Executive Officer for the SACSC, Amanda Stops, said the SACSC Research Conference had become the industry event that gave attendees an invaluable insight into the year’s perspective on retail and shopping centres. “We have industry professionals, local and international, who share their ideas and suggestions at the conference and keep shopping centre professionals up-to-date with these trends. We started Research Conference in 2011 with the main objective of enhancing and satisfying the need for more information on trends, technology and customer information with regards to retail and shopping centres,” she said. Lemok Group CEO Lebogang Mokubela said that he was looking forward to presenting to delegates at the eighth Research Conference. Lebogang will be speaking about the ‘Evolution of Retail in the Digital Age’. “The future of shopping centres lies in their ability to cater to less obvious needs of its customers. It is no longer just about running competitions and tenant mixes. Shopping centres play a bigger role in the lives of their customers-more than they know. The opportunity lies in unpacking and uncovering these less obvious needs of the customers and create a brand that caters for this. Suppose a shopping centre has vacant shops, and the customer who often goes to a restaurant in that centre doesn’t necessarily go there for the food but for the free WIFI and a space to work. The shopping centre can use the vacant store to create a co-working space where such customers can work and utilize the centre’s WIFI. The increase in dwell time will eventually translate into a bigger spend per head as well as customer loyalty. I cannot wait to share my insights to those in attendance,” he said. Lebogang will also be speaking on how to utilise the digital age optimally to gain market share and customer loyalty. Cushman & Wakefield Excellerate is the official sponsor of the 2018 SACSC Research Conference. Nomzamo Radebe, CEO of JHI - part of Cushman & Wakefield Excellerate said that they are excited to be sponsoring this important event once again. “The research results and information that is shared at the event equip us with valuable insights that can directly impact our success in this dynamic industry. At a time when consumer-behavior is becoming increasingly difficult to predict and influence, and technology is developing at a rapid pace, it is imperative that we seek out information that empowers us. To be aware of developing trends and being able to adapt and respond to them proactively, is how we can maintain our competitive edge. 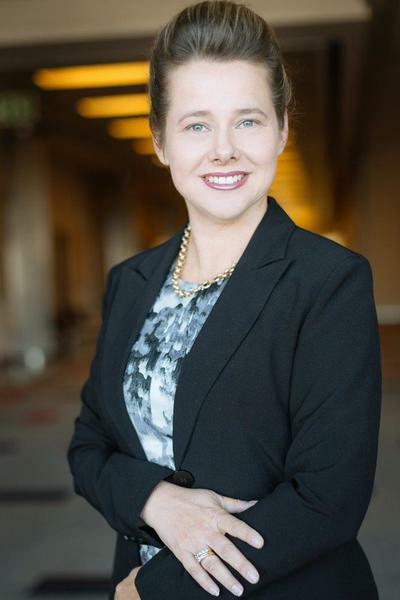 The benefits of a conference like this are enjoyed across this industry,” she said. Those interested in the 2018 SACSC Research Conference can register here or visit www.sacsc.co.za or call +27 (0) 10 003 0228 for more information.